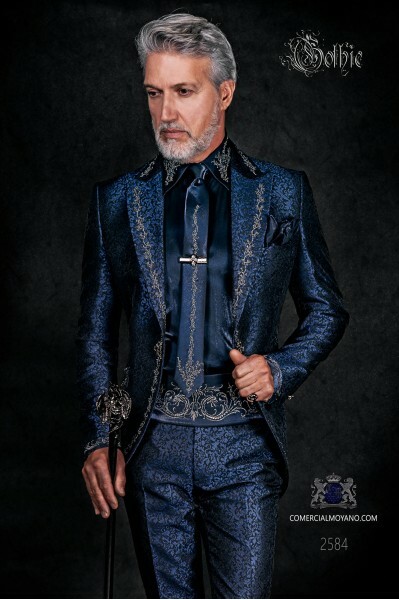 Blue gothic There are 8 products. 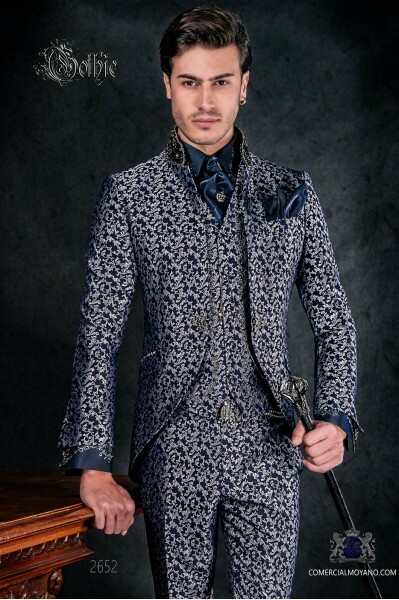 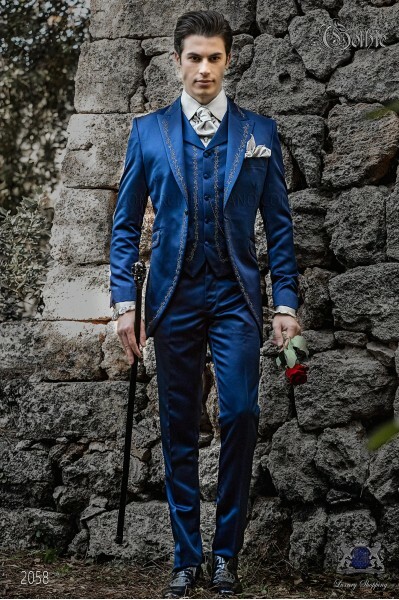 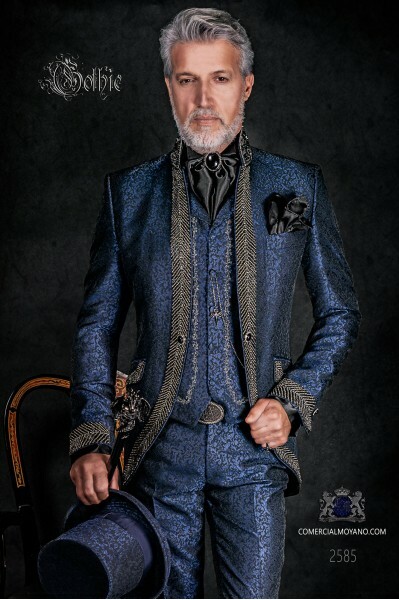 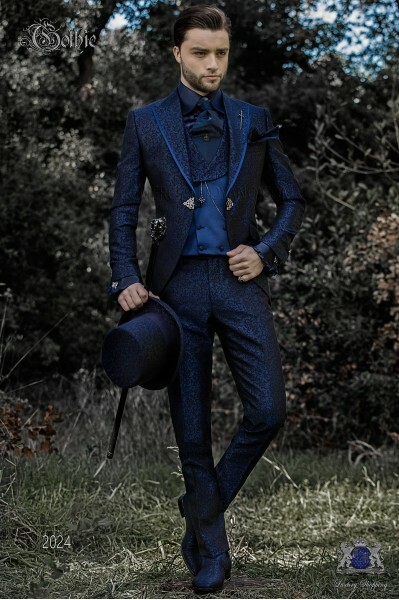 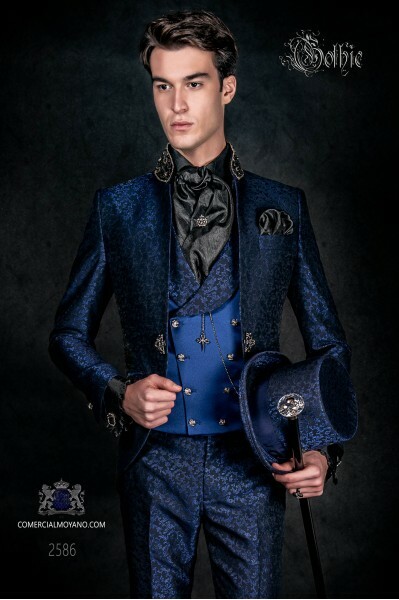 Baroque groom's suit made of blue jacquard fabric. 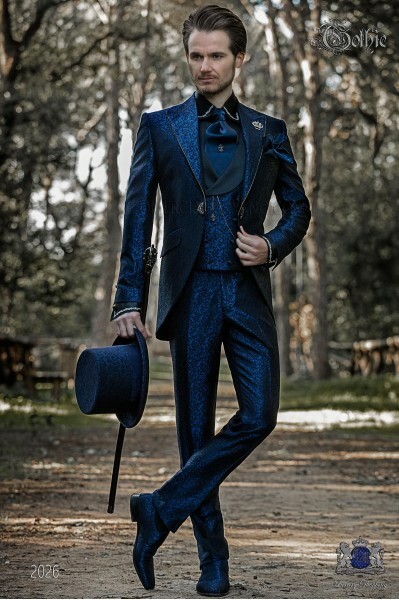 This vintage costume is a Redingote model with pointed lapels edged with satin profile, chest pocket, tailoring pockets with stylish sloping flaps and a clasp closure. 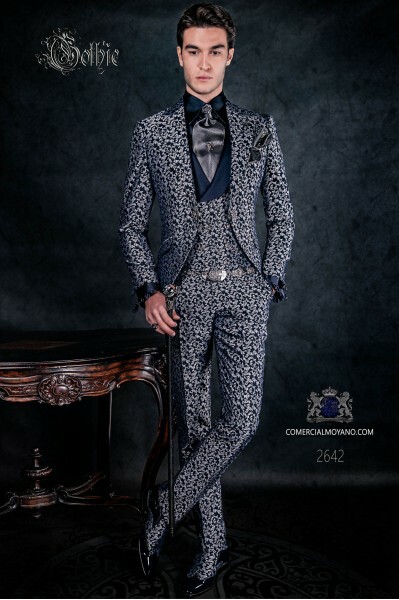 Model n: 2024It comes with Ottavio Nuccio Gala garment bag.